A character whose popularity is on the rise, the mutant with probability-altering powers, Domino is joining the BISHOUJO line! Based on the 2018 Domino comics by Gail Simone and David Baldeon, Domino’s sleek modern costume is rendered into the BISHOUJO style by illustrator Shunya Yamashita. Domino’s elaborate suit is painted with a combination of metallic, pearlescent, and glossy paints, giving it a bold and eye-catching appearance. The sharpshooting mercenary wields her beloved dual pistols, looking over her shoulder with a cool, composed expression. 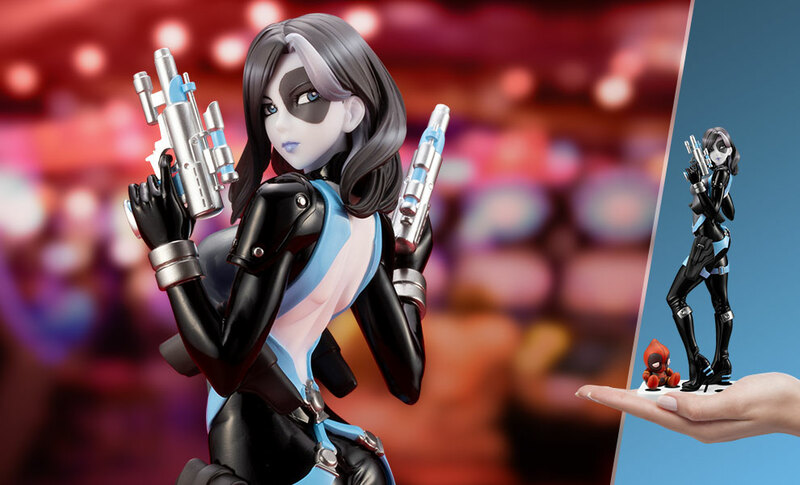 From Shunya Yamashita’s original concept art to the fine-tuned sculpt and paint job, this detail-packed figure fully embodies Domino’s appeal and personality. 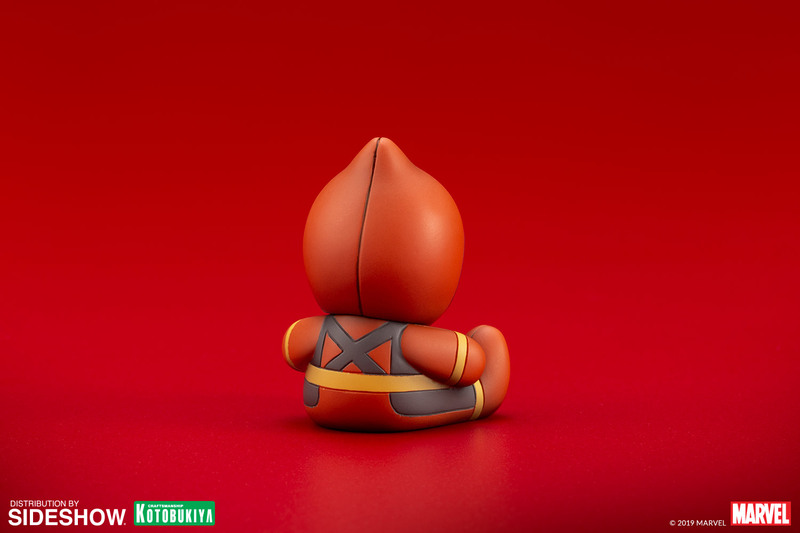 The statue comes with a miniature doll of Domino’s X-FORCE teammate Deadpool for you to display in the place of your choosing. 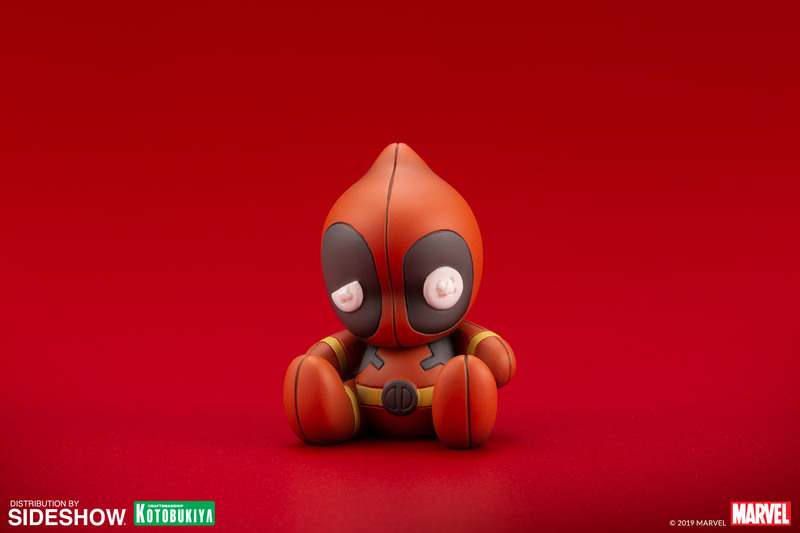 Take a chance and add this lucky girl (and her unlucky companion Deadpool) to your collection-- you won’t regret it! The costume is based on the most recent Domino comics and includes a Deadpool doll. The doll is not attached to the base and can be displayed however you want. The front of the statue is painted with pearlescent paint on the front of the suit as well as metallic and gloss paint, giving the statue a nice visual sense of variation and texture. The figure stands on a base with a domino-inspired design. Domino can manipulate probability, improving her luck and giving her opponents bad luck. Domino also excels in marksmanship as well as close combat. Her standard weapons of choice are dual pistols.